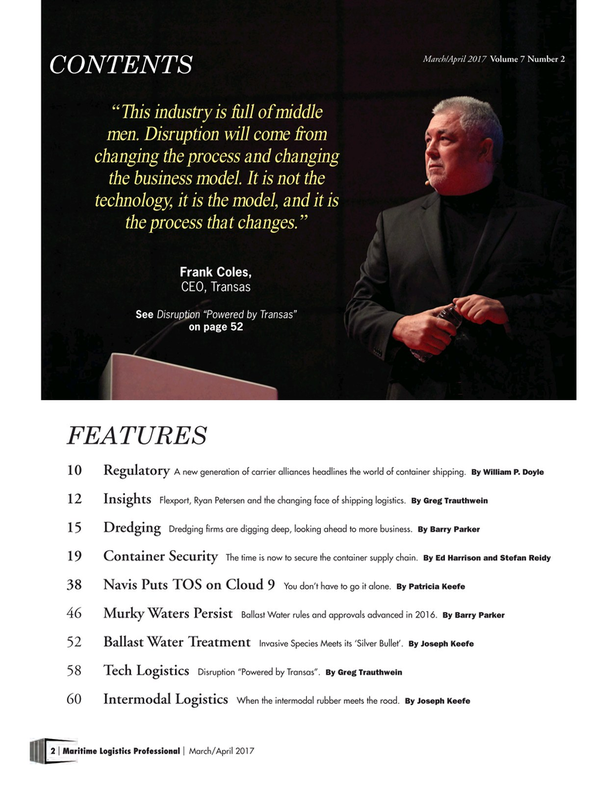 By Greg Trauthwein 12 Insights Flexport, Ryan Petersen and the changing face of shipping logistics. 15 Dredging Dredging ? rms are digging deep, looking ahead to more business. By Patricia Keefe You don’t have to go it alone. 46 Murky Waters Persist Ballast Water rules and approvals advanced in 2016.